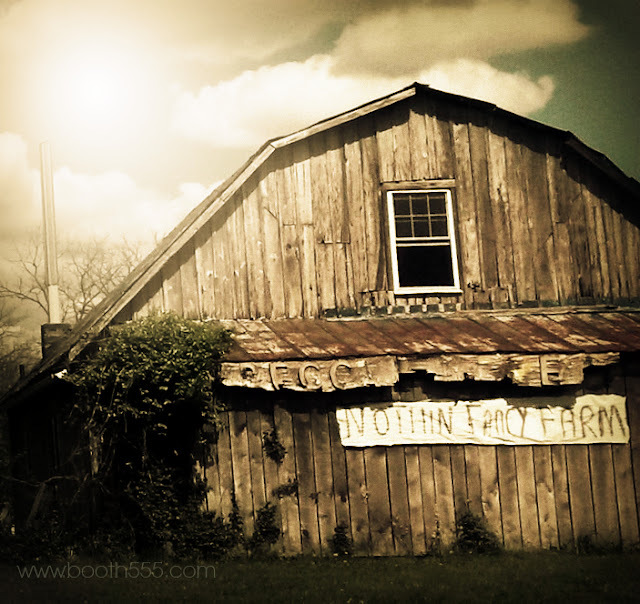 Here's a beautiful old farm I pass by now and then in Winchester, KY.
(Click on photos for a much larger view"
And if you look closely above that white sign, there appears to be another that has almost broken away. I think it once said, "Eggs for Sale." I'm posting this with the Good Fences link up today, which is a stretch since the fence is hard to see. But there is a fence over to the left. You just gotta look for it. And also, right on down the road from this cute, old farm is some beautiful wood plank fencing. These fences just keep going and going in this area of the horse farms. States for horse farm fences! Beautiful white fences for miles! The wood plank fencing really stands out against the green. Hi Lisa....looks like a wonderful place! I love old barns, old fences and old places!! Enjoyed this post..
Looks like a great old place, a wonderful old farm. awesome views you have. thanks for sharing them! Maybe be old but it appears someone still cares about it. 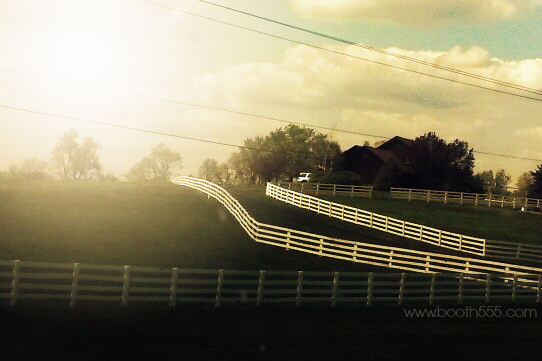 Nothing like Kentucky for some great fences! That is a cool old farm house with a great sign. Also like the white plank fencing.